Ever wonder why you should compost if you already have a garburator? Doesn’t it all eventually end up back in mother earth anyway? Kitchen waste is a major part of composting and once we own a garburator, we become conditioned to scrape plates and put everything we can down our garburator in our sink. This is still the best thing to do, right!? 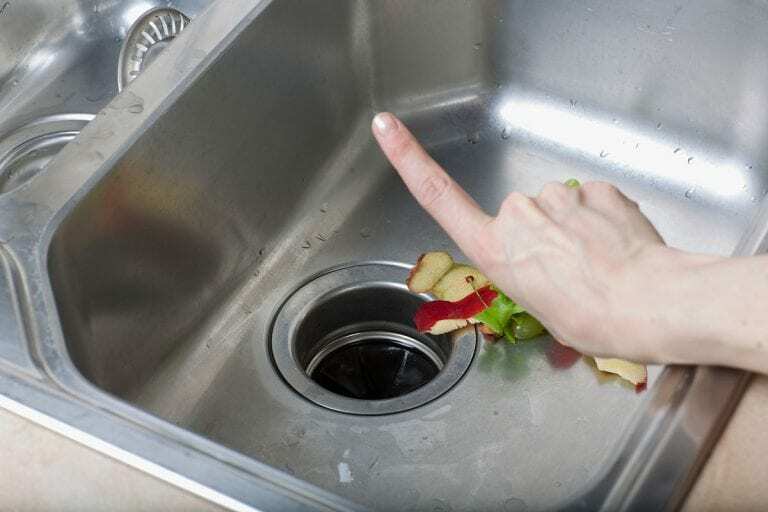 At Aquality Plumbing & Heating, we want you to reconsider using your garburator for kitchen scraps! Please start composting and give your garburator a break. Why would we suggest you compost instead of using a garburator? Maybe you are surprised that a business that sells and installs garburators is pushing for composting, but to us, it makes complete sense. Aquality Plumbing & Heating is built on honesty and providing services for Calgarians that they actually really need. We are about being helpful – not for selling products if they won’t benefit you and make your life better. Our home plumbing systems are not actually designed to have so much food debris running through them. In addition, the City’s water systems then have to work extra hard to screen this same debris out before it is processed back into our river system. Can My Compost Bin Really Handle All Our Table Scraps? With the City of Calgary having compost bins available, we finally have the best of both worlds. I no longer put table scraps into my sink even though I have a garburator. I get everything I can, even yogurt, into the compost as I know it will break down and create a sustainable fertilizer that will be used for so much good around the city! In addition, I feel good knowing this saves space in our landfills: food waste is 50% of our current garbage! Hey, you can even be selfish and compost at home and keep the goods for yourself and your yard! In the end, I am proud to say that my drains run clear which means I avoid a potentially costly service call for an augur service, that many garburator users and abusers will incur. The truth is, we see a ton of people abuse their garburator by using it for items that it cannot fully break down. We even see people prepping for large meals and putting everything down the drain. To save yourself money in the long run and avoid the annoyance of a plugged line, put that food waste in the compost! It is smart and super easy! What Should a Garburator be Used For? In the end, I still have and use my garburator almost everyday for the little items that find a way in the sink. This ensures my drain stays clear. I just no longer use it to rid myself of all the food waste we produce in our home. Composting is designed to deal with all this material in the best way possible, our piping systems are not. Check out these compelling reasons to compost, as listed by our awesome City of Calgary!